Thank you for checking out Beaumont Presbyterian Church, located in Lexington, Kentucky! We are passionate about serving God in our community, welcoming new people, and caring for our members. If you’ve been looking for a church family—a church where everyone knows your name—Beaumont might be the place for you! Join us on Easter morning at 11:00 A.M. for Worship. Click here for more info! Beaumont Presbyterian Church is a church family where diversity is celebrated and all are welcomed. Beaumont is attuned to the needs of congregational life as well as the local and worldwide community. Mission is expressed both within and beyond the walls of the church as we endeavor to worship and serve our Lord Jesus Christ. 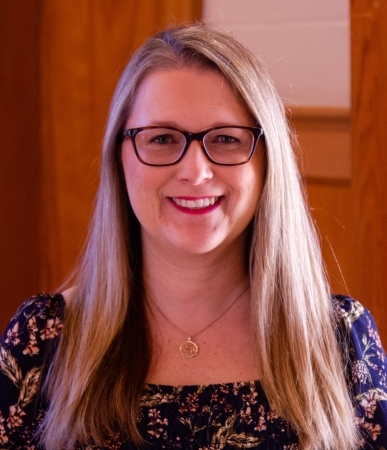 “If you have questions, then this is a great place to come, because we’re not afraid of questions!” Erica is one of our adult Sunday School teachers. Listen to her story about what brought her to Beaumont. Two of our Beaumont kids tell us why they love Beaumont. They have a unique perspective, having attended both Beaumont Presbyterian Church and the Beaumont Learning Center (BLC), our preschool. Watch and listen to a short excerpt from the Beaumont Faith Ringers, one of our talented musical groups! One of the great things about Beaumont is that we are an intergenerational church. If you are a family with small children, joining Beaumont is like getting built-in aunts, uncles, grandmas and grandpas for your kids to grow up with! Adults of all ages are welcomed with open arms into the life of our congregation. Recognizing that each one of us is a beloved child of God, when you come to Beaumont you will be treasured for your unique gifts and invited to participate in the ministries and missions of our congregation. Youth and children’s’ activities are a key part of our church! At Beaumont, we have a youth leader, a regular nursery attendant, and “safe church” policy that includes background screenings and regular safety trainings for all of our volunteers. We are dedicated to creating a safe, fun, faith-filled learning environment for all children from newborn infants through high school youth! 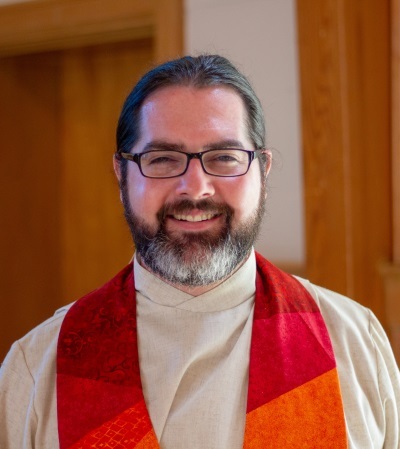 Stephen began serving as pastor of Beaumont Presbyterian Church in June 2018. Most recently, he had served as pastor and head of staff of Shelter Island Presbyterian Church in Long Island, NY. Raised in Northwest Georgia, Stephen is a life-long Presbyterian and graduated from Presbyterian College in Clinton, SC in 2010. He then attended Columbia Theological Seminary and graduated with his Master of Divinity and Master of Arts in Practical Theology in 2014. Stephen lives in Lexington with his wife, Tricia, who is a therapist. They share their house with a 70-pound Goldendoodle named Elsie and a Calico cat named Audrey. Click here to visit Stephen’s personal website where he shares his sermons, liturgy, and original hymns. You can email Stephen at pastor@bpclex.org. 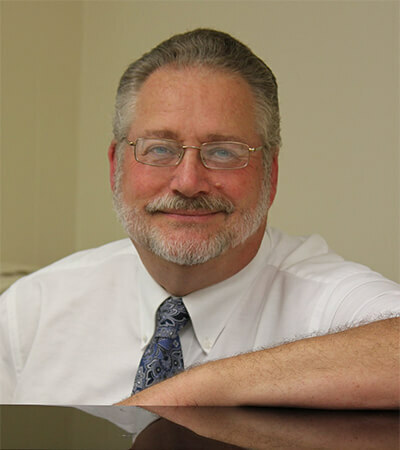 Dr. Wayne W. Gebb joined the staff at Beaumont as Minister of Music in 2007, after more than 30 years in music ministry at churches in Pennsylvania, New Jersey and Kentucky. He was a long-time faculty member at Midway College and has taught classes at the University of Kentucky. Wayne holds degrees in vocal and choral music from Westminster Choir College and Eastern Kentucky University. In 2008, he received the Doctor of Musical Arts degree in voice from the University of Kentucky, where he was a student of Stephen King. His conducting repertoire includes major works by such composers as Bach, Handel, Schutz, Haydn, Mozart, Rheinberger, Holst, and Distler. He has made numerous appearances in recital, specializing in 19th and 20th Century English song. Wayne’s operatic appearances include such baritone roles as Count Almaviva in Mozart’s The Marriage of Figaro and Enrico in Lucia di Lammermoor. In concert he has performed as soloist for numerous works, including Handel’s Messiah, the St. John Passion of Bach and Hodie by Vaughan Williams. Wayne is married to Billie Anne Gebb, director of Library Services for the Frontier Nursing University. They have three children, big sister Marianne and identical twins Charlie and Joey. Before moving to Lexington, Jeff spent four years in Dallas, Texas earning his M. Div from Redeemer Theological Seminary. The following three years he raised money (like a missionary) to help revitalize a church ready to close its doors. Though new to Beaumont Presbyterian Church, Jeff has been leading youth ministry for over 15 years. 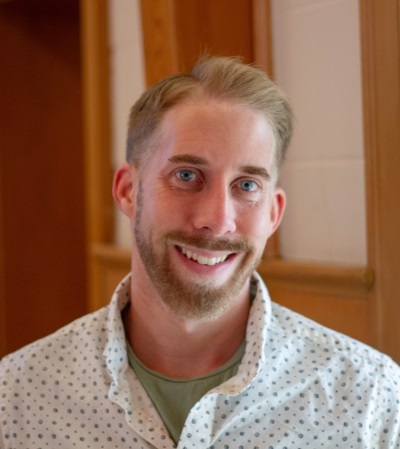 Experiencing the changes within youth ministry firsthand, he is passionate about connecting the story of the gospel to a growing “Post-Christian” world. Upon completing the ordination process in the PC(USA), Jeff hopes to get a “big boy job” and pastor his very own church. However, given the fact that youth ministry is an absolute blast, he’s really not in that big of a rush. 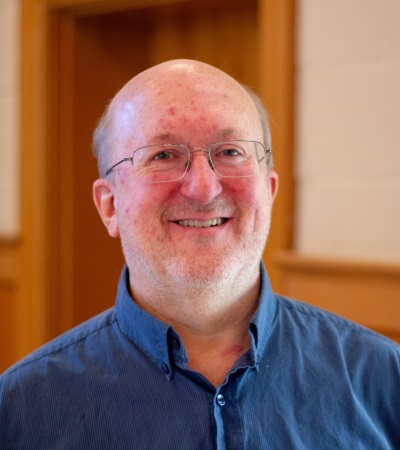 Dr. Larry Sharp has served as organist at Beaumont Presbyterian Church since 2014, having previously served Disciples and Episcopal congregations in Winchester and Danville. A Colleague of the American Guild of Organists, Larry has recently been appointed as the AGO District Convener for the state of Kentucky. He served as the dean of the Lexington AGO Chapter from 2016-18. Larry is a graduate of the University of Kentucky, where he received the degrees of Bachelor of Science, Doctor of Dental Medicine, and Master of Science in Dentistry, in addition to specialty certification in orthodontics. He has practiced in Central and Eastern Kentucky. Robin Jenkins has been the regular nursery attendant at Beaumont Presbyterian since 2010. We are blessed to have such a faithful, loving person in the nursery with our littlest members and youngest visitors. Robin’s consistent presence eases the most anxious infant or toddler! She loves reading books with our children—her talents for singing and playing with children make sense when you find out that she received her B.A. 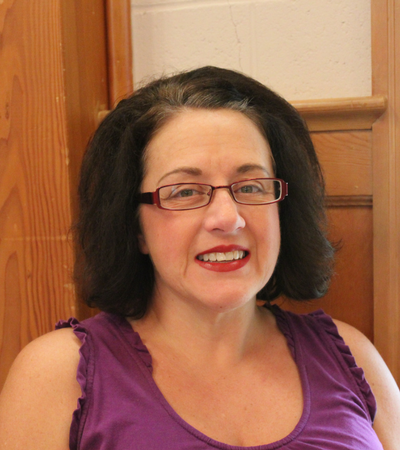 in Theater from the University of Kentucky then worked 10 years in pre-school and private childcare, earned her M.A. in Special Education from Eastern Kentucky University, and taught in the public schools for 10 years. Robin also led story time at Barnes and Nobles for many years! 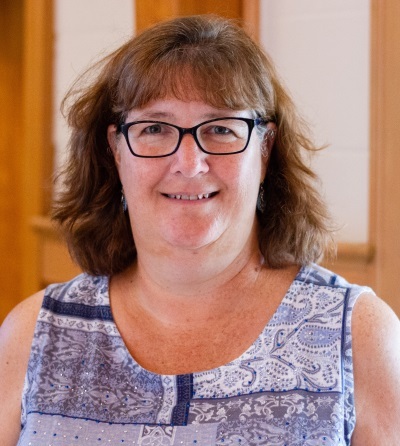 Robin is accompanied by a second volunteer person (the second volunteer position rotates) on Sunday mornings during Sunday School and Worship, as well as for special events such as church meetings and potlucks. [Pictured on Left] Hi! I’m Elsie! 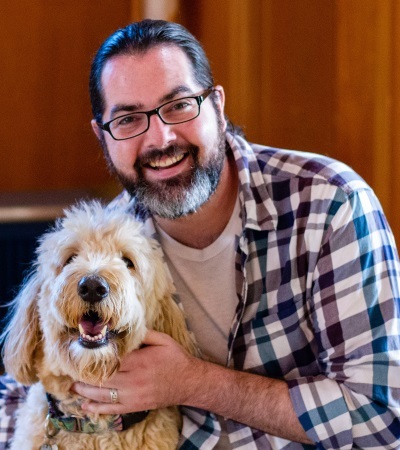 I’m a big, fluffy Golden Doodle who loves to come to the office with my dad, Pastor Stephen. I love to welcome people when they come to the office with a bark, a wag of my tail, and a big goofy smile! I love to snuggle, fetch my tennis ball, and bark at the chipmunk that taunts me outside the BPC office window. We would love for you to visit Beaumont and discover if we are the right church home for you. If you’re looking for a church in the Lexington, KY, area, we’d be honored to have you as our guest this Sunday! You’ll find a place with friendly people, a great children’s ministry, a beautiful worship service, and a place to nurture your growth in the Christian faith. If you have any questions or want to know more about anything at Beaumont, just fill out the contact form to the right and we will get back to you as soon as possible!